Close your eyes and imagine a tranquil landscape in full bloom. The sky is blue, the grass is green, wildflowers sprout from all corners of the earth. 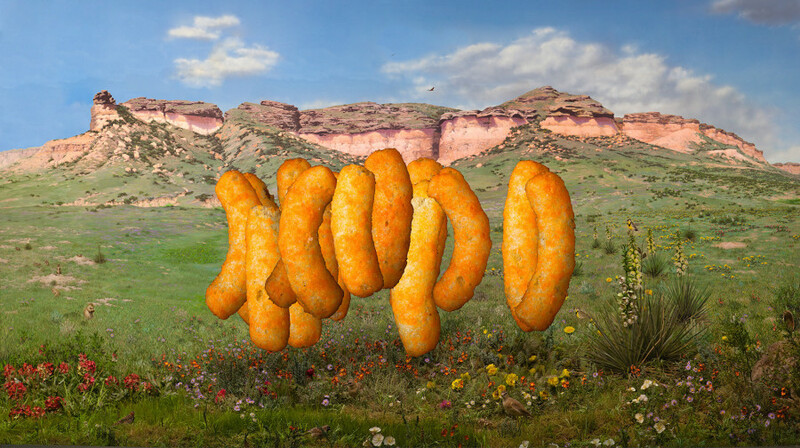 And there, hovering above the swatch of natural wonders, is a spread of neon, triumphant Cheetos. 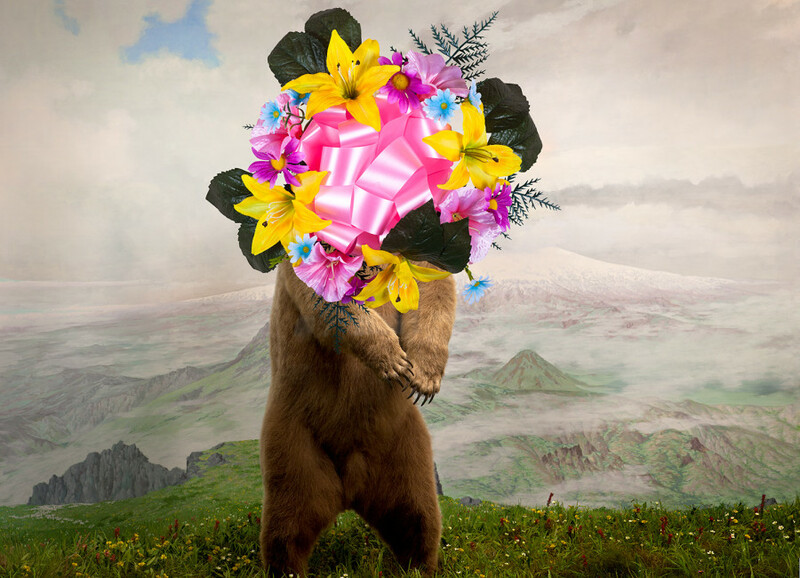 This bizarre yet oddly delicious image is brought to you by artist Jason DeMarte. The faux cheesy snack, juxtaposed with the fruits of the natural world, sparks an intriguing dialog between what's man-made and what runs wild. Yet instead of offering a moralized comparison, lauding the natural and condemning the artificial, DeMarte revels in the strange beauty both have to offer, blurring the line between them in the process. The series, titled "Nature Preserves," stemmed from an earlier project navigating the bizarre spaces of natural history museums, carefully staged to replicate the work of mother nature. "I had this idea to make ‘false’ landscape images from inside the museum; something about the irony of being an indoor landscape photographer interested me a lot," DeMarte explained to The Huffington Post. "While I was happy with some of the results, what really made an impression was watching how people were interacting with the displays.. It was a perfect little slice of nature for people to easily digest and move on to the next. This behavior seemed strikingly similar to window shopping. From there, the connection between consumerism and simulated nature was obvious and I found myself continually fascinated with the similarities and the symbolism of connecting the two." This connection between nature and artifice, wildflower and Cheeto, spurred DeMarte's vibrant series of ink jet prints, featuring bacon strips, powdered donuts and gaudy dollar store decor amidst the great outdoors. The resulting images, as addictive as the snacks they spotlight, raise provocative questions about categorization and hierarchization, in terms of what we buy, what we eat, and what we see as art. "While I don’t have a specific agenda or message with the work, I do want to challenge the viewer’s preconceived notion of what is genuine and subvert that through a dialog of context and consumption by juxtaposing fabricated natural subjects with common commercial tropes," DeMarte explained. "The fabricated subjects I use subvert the truth the same way a photograph can. It gives me great pleasure to think about compounding that subversion by photographing it, removing another level of authenticity through reproduction, then presenting it through a medium that lends itself to believability." See the technicolored wonderlands pumped with fast food products below and let us know your thoughts in the comments.